Most people love traveling. There’s something about seeing the world that truly enhances the human experience. Getting ready for trips, though, is often a huge hassle, even for the most seasoned vacationers. If you have a trip already in the books and you’re starting to think about what you want to take with you, you might already be feeling a bit stressed and overwhelmed. This guide is here to help! As you continue reading, you’ll find four things you can do to pack your suitcase better for your next trip and every trip thereafter. Clothes that are folded into suitcases tend to become a jumbled mess by the end of a trip, if not by the time they reach their destination. Rolling garments, however, is a much more efficient and organized option. Rolled clothes typically stay in place better, are easier to sift through when you’re looking for something specific and allow you to take more attire in less space. A well-organized suitcase has had some thought put into it. In other words, people who are efficient packers do not just heap things on top of each other and try their best to zip their luggage afterward. Instead, they have a method. The most effective technique is to lay heavy objects, like shoes, on the bottom of the suitcase. Then, cover them will thick rolled garments, such as sweaters and jeans, and finish the top layer with t-shirts and other thinner rolled pieces. If your suitcase has any exterior pockets, slip your toiletry case into one of them for easy access when you pass through security (or if you need anything while you are en route!) If not, place your toiletry bag on the very top of your suitcase so you can get to it by just unzipping the bag slightly. This will greatly reduce your stress levels at the airport specifically! Every traveler buys souvenirs differently. Some people purchase lots of things while they are on vacation, while others are content to find one great reminder of each trip they take. Knowing what kind of shopper, you are can help you pack more efficiently. If, for instance, you know you are going to need a lot of extra space to pack purchases on your way home, try to take as few clothes as possible upon departing. 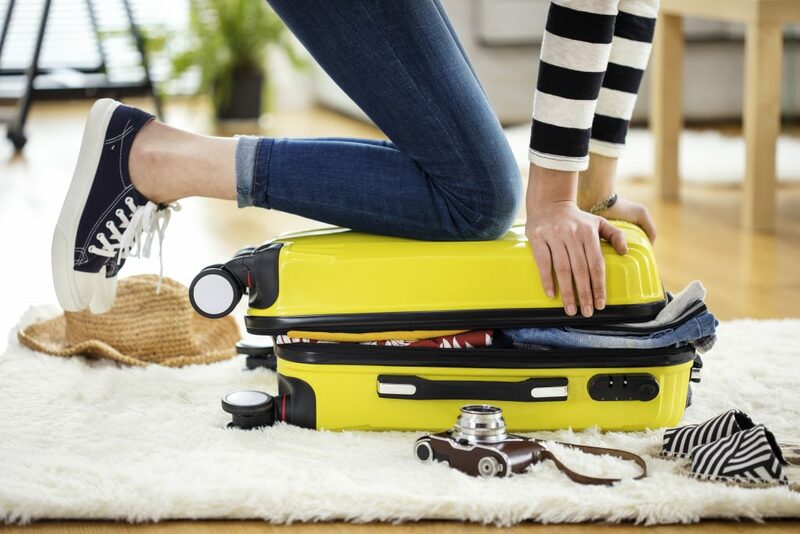 Whether you’re preparing for the first big trip you’ve ever taken or you’re a frequent flyer, these tips ought to be useful for you every time you pack. You might even want to print them and keep a copy inside of your suitcase for reference each time you pull it out of your closet. Traveling can be exciting and exhausting at the same time. Which is why we try our best to give you the best-personalized experience when you are traveling to Boston. With our modern suites and our fantastic location, you can get a luxurious living at an affordable price! Call us now or visit our website to see our rooms.